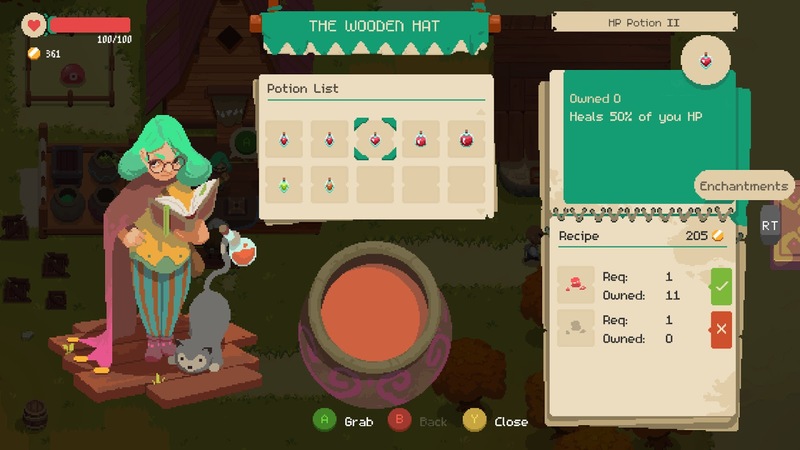 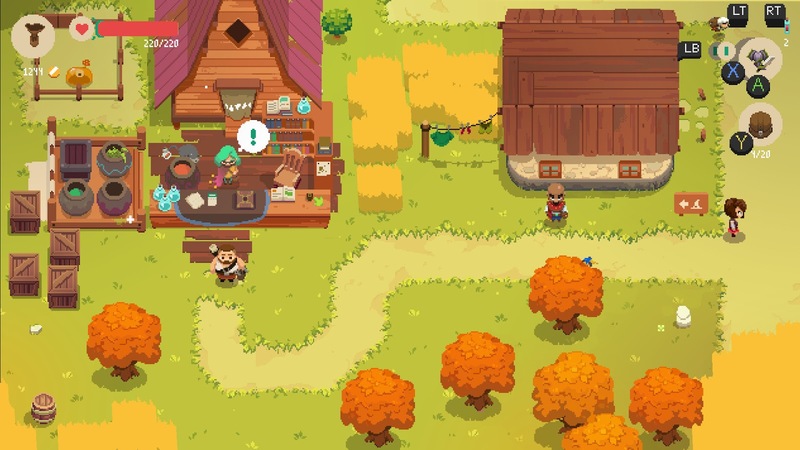 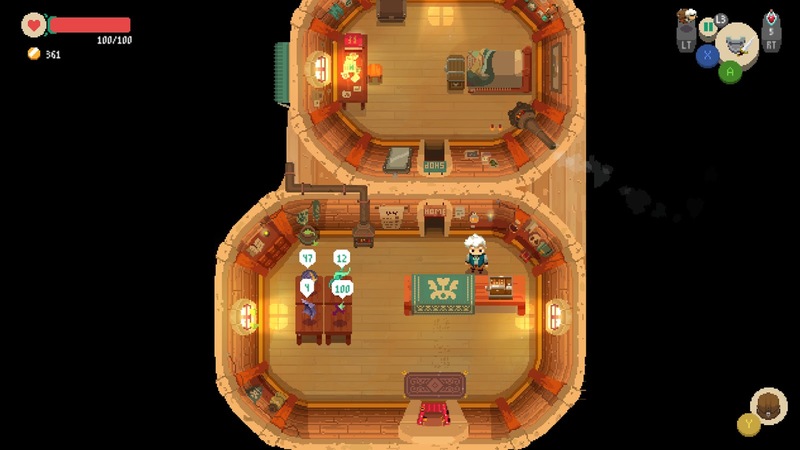 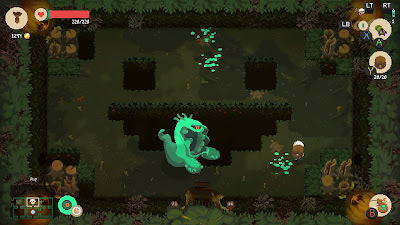 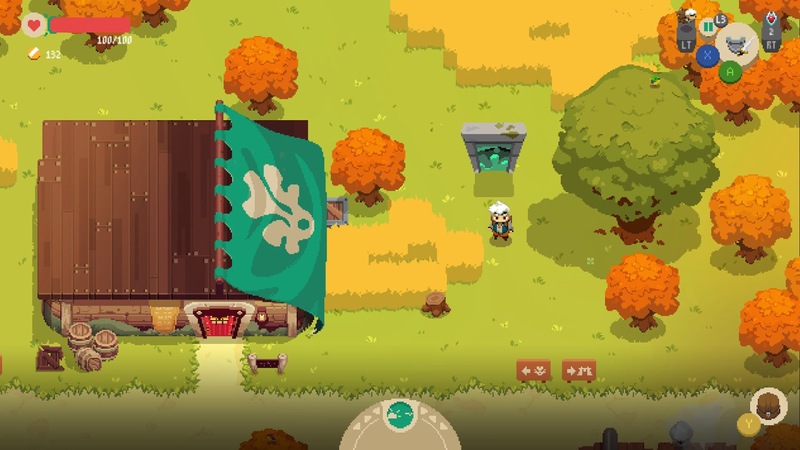 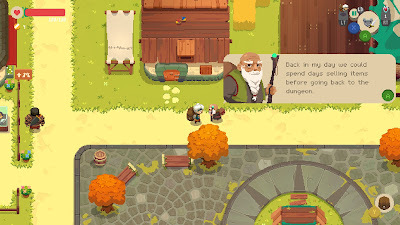 Video Game Description: Moonlighter is an Action RPG with rogue-lite elements that demonstrates two sides of the coin – revealing everyday routines of Will, an adventurous shopkeeper that secretly dreams of becoming a hero. 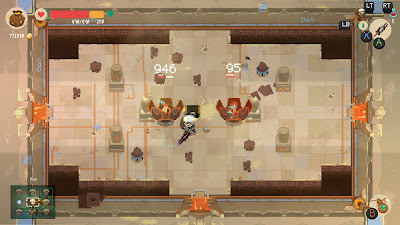 Find out more about this video game after the jump. 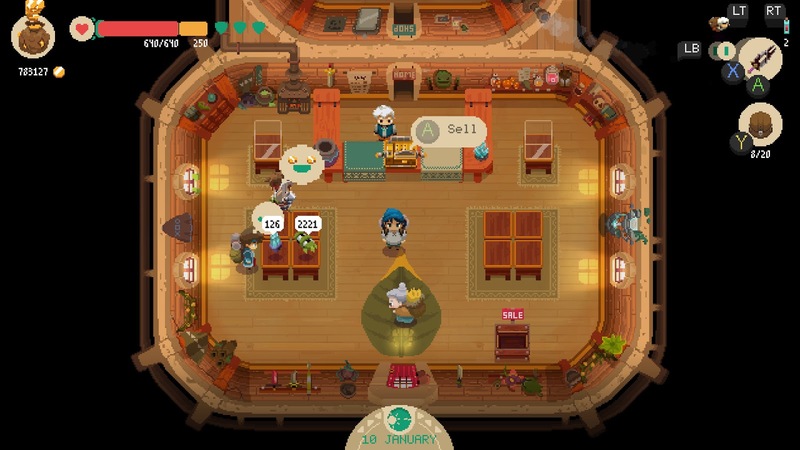 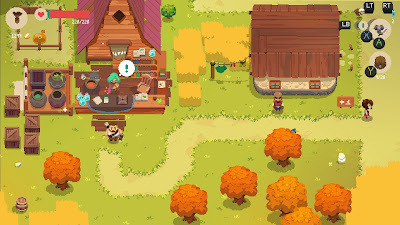 Shopkeeping - While conducting your business in Rynoka village, you can put items on sale, set their price carefully, manage gold reserves, recruit assistants and upgrade the shop. Be careful though – some shady individuals may want to steal your precious wares! Meet villagers - Getting to know Rynoka’s residents and understanding needs of customers is crucial. Some folks may have special quests for you, requesting rare items and offering handsome rewards in return. Craft and enchant - Crafting and enchanting system is essential for the your progression. 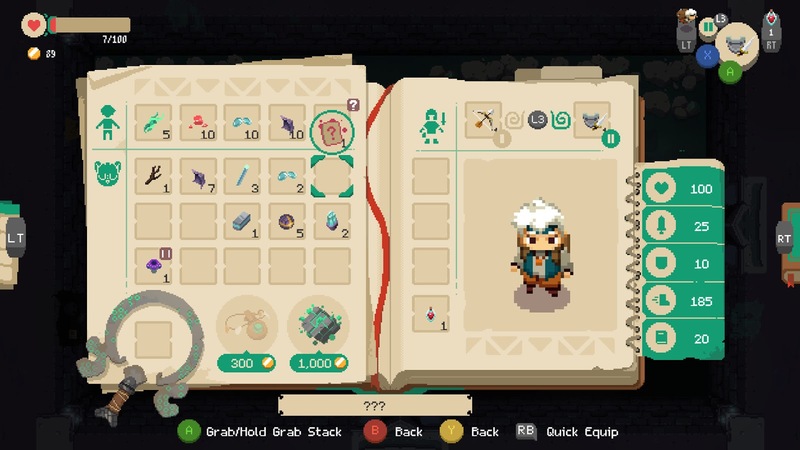 Interacting with the villagers is the way to craft new armors, weapons and enchant existing equipment. This creates a great deal of flexibility and spices up the way the equipment is used. 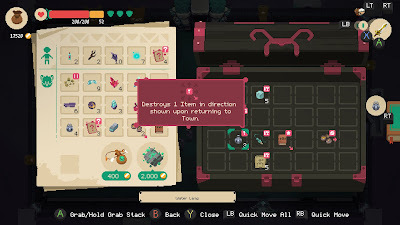 Get the loot - While visiting other worlds, collect valuable resources, weapons, armors, treasures and peculiar artefacts. 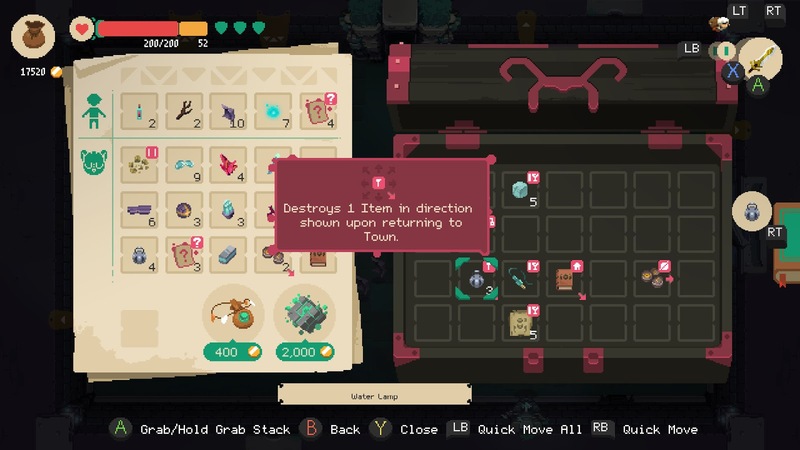 Then, manage acquired loot using unique inventory-based abilities. 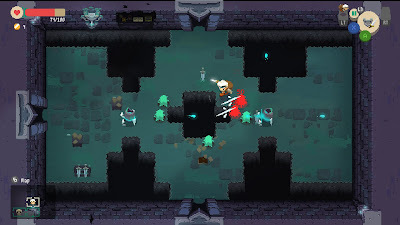 Fight with style - Defeating various enemies and bosses, revel in the challenging and deep combat mechanics. 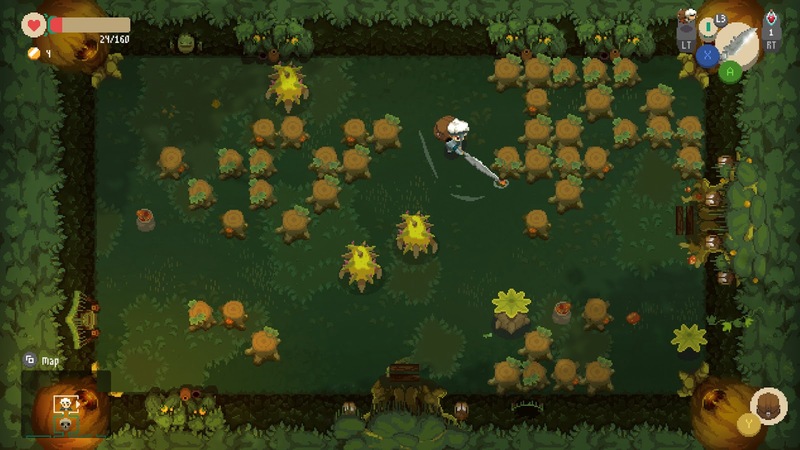 The depth of combat depends on the interactions between weapons, timing, positioning, enemies and environment. 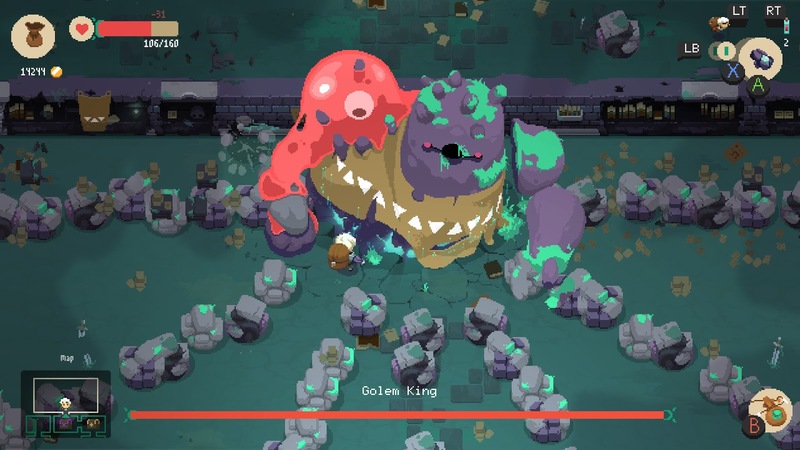 Feel comfortable developing your own battling style. 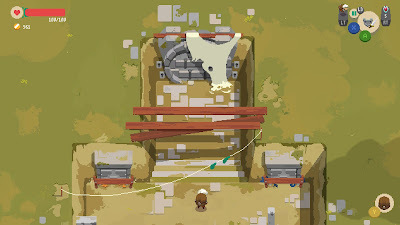 Open the gates - Gates lead to different worlds. 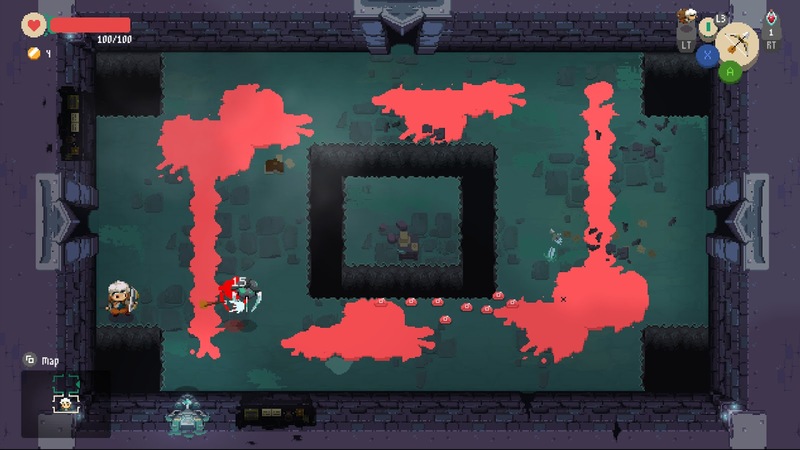 Each run is unique and forces you to take some smart decisions. 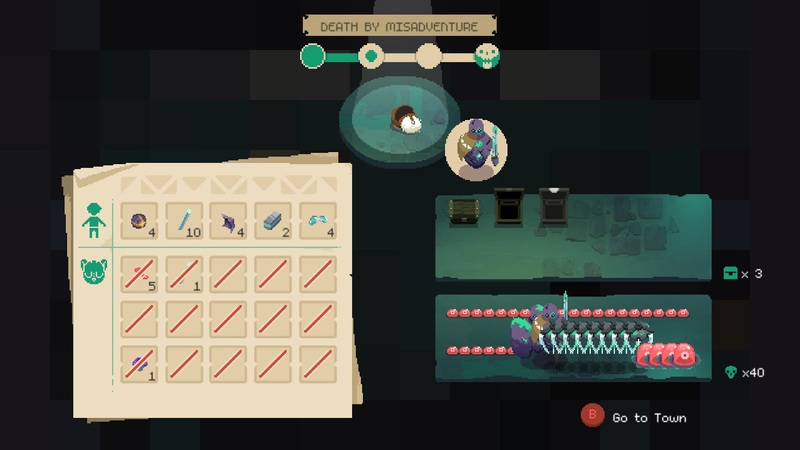 You never know what you will encounter next – that’s why you have to be prepared for everything.